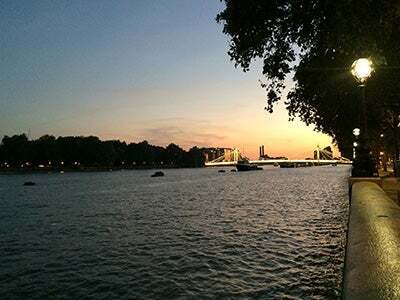 MBA student Nick Berger blogs about studying abroad in London. I also accomplished two long-time goals in September: learning to drive on the opposite side of the road, and touring Scotland. I’ve been waiting for the opportunity to return to London for an extended stay since I moved back to New York at the age of nine. 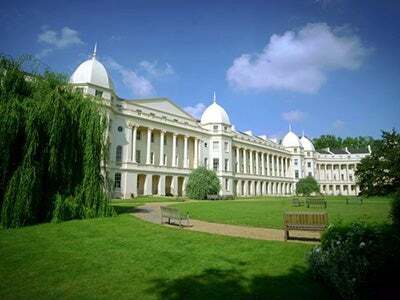 The chance to study at London Business School (LBS), a school that shares Stern’s global approach and academic rigor, made this decision an easy one – so in late August I set out for the scepter’d isle. I’ll be spending the term in a flat in Chelsea overlooking the River Thames. The sunset behind Battersea Bridge on my first night provided a warm welcome. I took full advantage of LBS’s verdant lawns during breaks from the two intensive courses I completed in September. 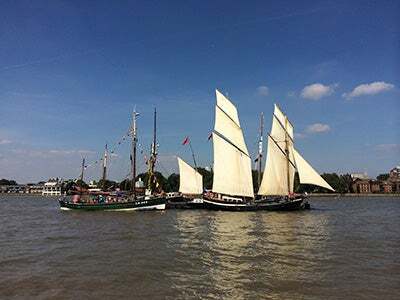 There’s always something happening in London; a recent event was the Tall Ships Festival at Greenwich – of Greenwich-Mean-Time fame – just up the Thames. In addition to the impressive boats on display, the views from the Royal Observatory to Canary Wharf (one of London’s financial hubs) were spectacular. 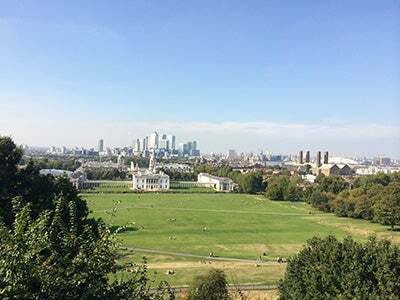 Royal Naval College and Canary Wharf viewed from the Royal Observatory. Spot the tall ships in the middle distance. I also accomplished two long-time goals in September: learning to drive on the opposite side of the road, and touring Scotland. The day after visiting Greenwich, I loaded up my backpack and hopped a train for Edinburgh. 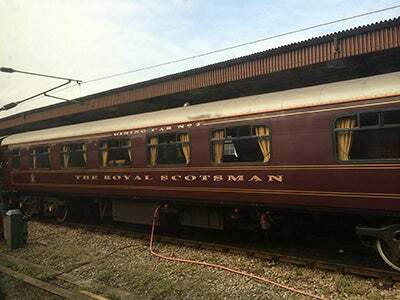 The Royal Scotsman – sadly, not the train I rode. Edinburgh is a wonderful city to visit – extremely welcoming, vibrant, and full of interesting things to see and do. Built on the site of an extinct volcano, it has a unique, hilly topography that encourages exploration. It was a particularly exciting time to be there, just days before the Scottish referendum on Independence. 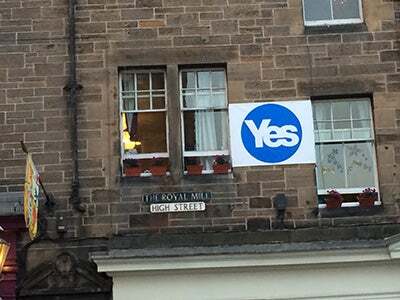 “Yes” campaign sign on The Royal Mile. 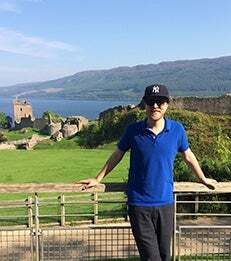 While in Edinburgh, I took a boat trip to Inchcolm, an island in the Firth of Forth which is home to both a remarkably well-preserved medieval abbey and a number of World War II-era fortifications. 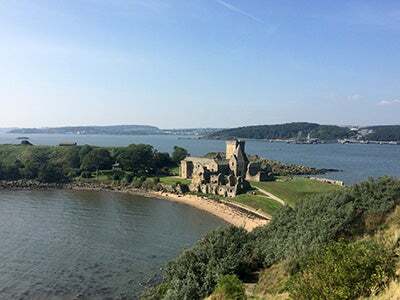 Inchcolm Abbey. Note the port in the background, part of the Firth’s extensive oil economy. After spending a couple of days in Edinburgh, it was time to hit the road. Somewhat shockingly, car rental companies require no prior UK driving experience to hand over the keys. 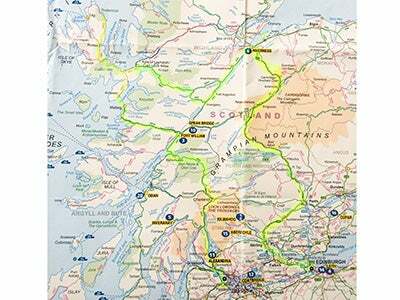 Fortunately the adjustment was easy enough to make (though windy single-lane roads require serious concentration), and over the next four days, I completed an exciting tour of the Scottish Highlands. 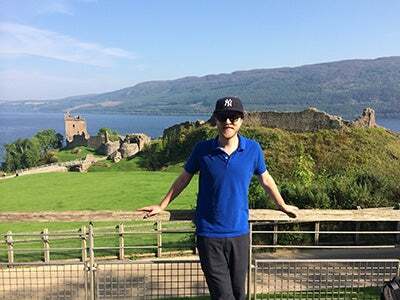 Visiting Urquhart Castle on Loch Ness. 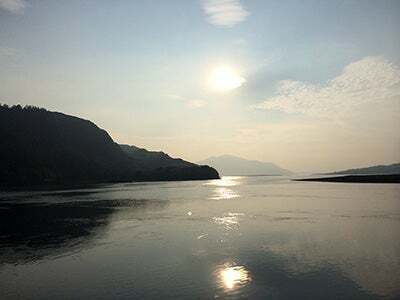 Looking across the water towards Skye. 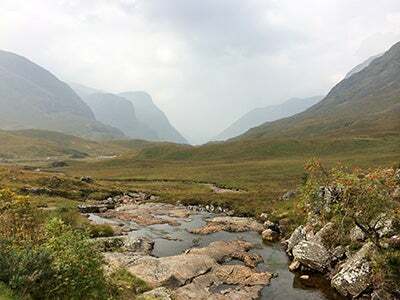 The dramatic scenery of Glen Coe. Since I’ve been back, the rest of the International Exchange Program and second-year MBA students have arrived on campus (electives start late here). It’s been great to connect with fellow Sternies in London and to meet MBA students from around the world. Should be a great semester! 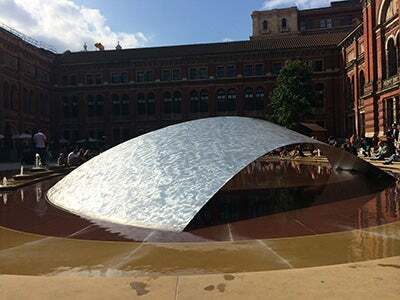 New architectural sculpture at the V&A. Title: Crest.